There are very few things in my fridge that I would pour on my cereal besides milk and this dressing is so good I might consider it. I’m kidding, that would be gross. All joking aside though, this is my ALL TIME FAVORITE dressing like, EVER. It was love at first bite some 13 years ago when I had my first Cafe Rio Salad and I’ve been smitten ever since. It’s creamy, tangy, kicky, fresh and tastes good on just about everything. 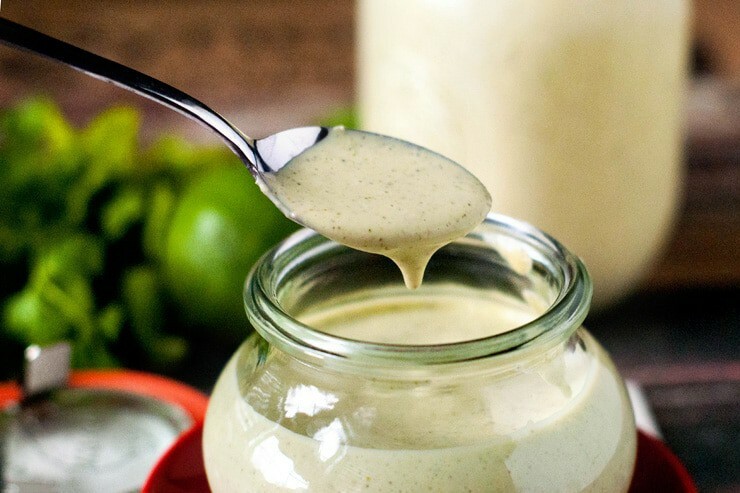 I will say that if you have an aversion to cilantro you should stay far, far away but if you’re looking at a recipe for Cilantro Lime Dressing I’m going to guess that’s not an issue for you. Top taco salads and nachos with it, dip quesadillas and taquitos in it or just drizzle over your favorite veggies and you’ve got something pretty darn good! 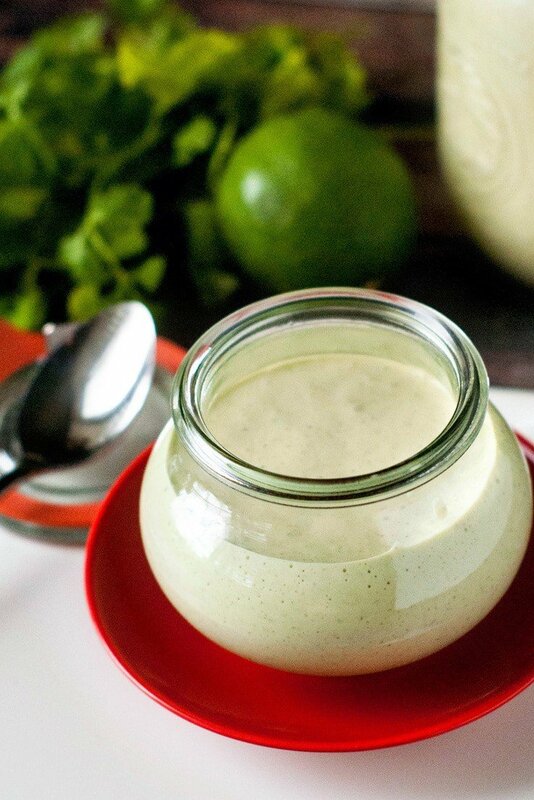 This Cilantro ranch dressing is perfect for drizzling over taco salads, nachos, or just dunking veggies in. It's easy to make and has so much flavor! Combine all ingredients in a blender and process until smooth. Store in a covered container in the fridge for up to 2 weeks. I made this the other day and we loved it! The only changes were that I added a whole bunch of cilantro and increased the milk to 1 cup. Thanks for the great recipe! Can I use green enchilada sauce instead of green salsa? The green salsa adds flavor and acidity so if you can get your hands on some, that would be best! This sounds amazing!!! 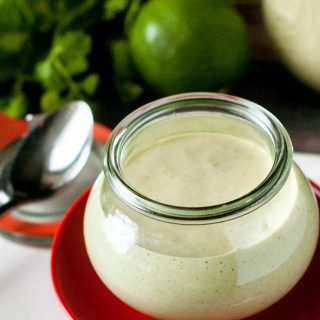 I love the cilantro lime combo so I know I will love this dressing!